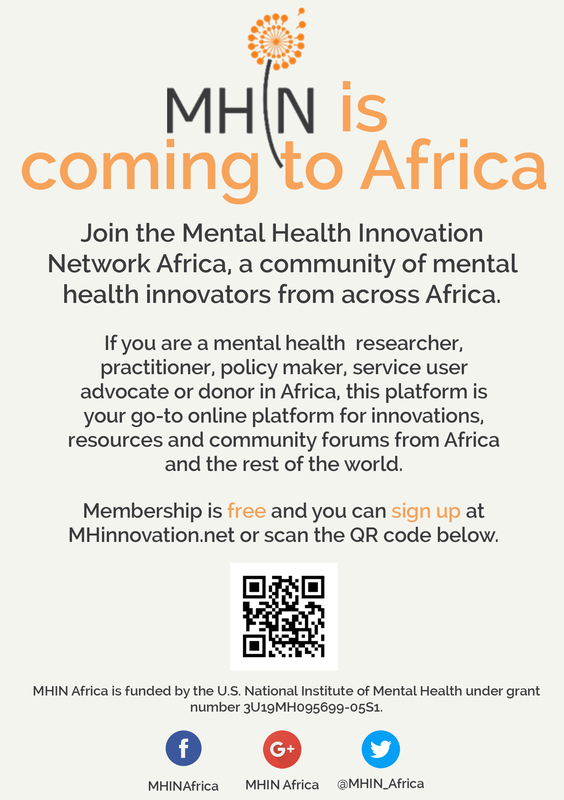 MHIN Africa is an Africa-specific, online platform for African mental health innovators: researchers, practitioners, policy-makers, service user advocates and donors in Africa. MHIN Africa's purpose is to provide support for African mental health innovators and to synthesize knowledge, disseminate evidence generated by research and innovation initiatives in the field of mental health throughout Africa and promote the uptake of this evidence in policy and practice. As part of MHIN, MHIN Africa strives to build strong, lasting partnerships and in an effort to create a more inclusive African network of mental health care stakeholders. Introductory blog post: Hello from MHIN Africa! Blog Post: The Friendship Bench therapy- why has it been so successful?